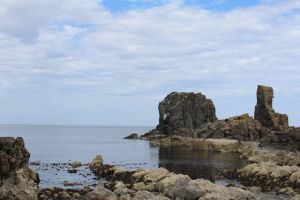 Cleaved Head is a promontory fort located just east of Macduff. The defences consist of an earthen bank and ditch. In an odd juxtaposition of the old and new, the banks form an obstacle on the approach to the 13th green of Royal Tarlair Golf Course. 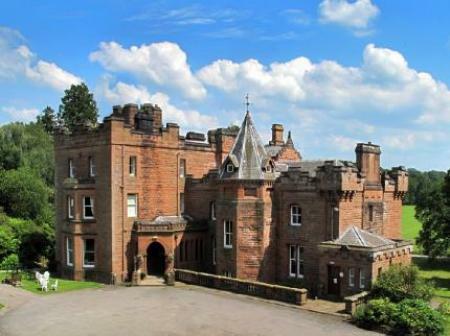 The defences enclose an area of roughly 0.5 hectares, with no discernable archaeological features. The neck of the promontory shows evidence of three ditches, probably used for drying kelp. Construction of the neighbouring golf course affected the ditches, but the easternmost ditch is 1.5m high and has a counterscarp 0.5m high. Access is by footpath from a parking area at the end of Tarlair Road, off High Shore at the eastern edge of Macduff. There is another ancient site in the Macduff area in the form of Longman Hill Cairn, about 2 miles away. Location: On a track past the end of Tarlair Road, at the eastern edge of Macduff. Footpath from the swimming pool along the north edge of the golf club. 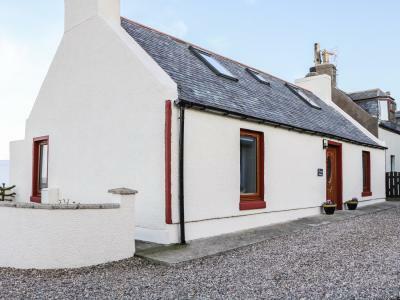 This detached cottage is located in the village of Macduff near Banff and can sleep two people in one bedroom.